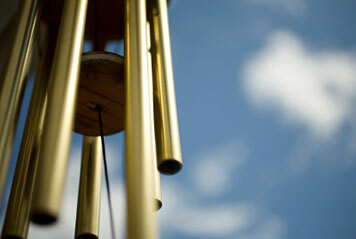 Wind Chimes is a meditative piece for pianoforte solo based on the Aeolian mode. The chords and thematic fragments were inspired by the bell-like sounds of the percussion instrument. In the 18th Century, wind chimes were tuned to the Aeolian mode, as Aeolus was considered ‘God of the Winds.’ Wind Chimes were used to bring happiness and good fortune to the residence. Wind Chimes was a set piece for the Piano Solo Australian 11-12 years section of the Sunshine Coast Junior Eisteddfod, 2013.